Because I know how much people love this stuff. I’m pretty sure that the first house they filmed at in Northville is meant to be Dewey and Tatum’s parent’s house. 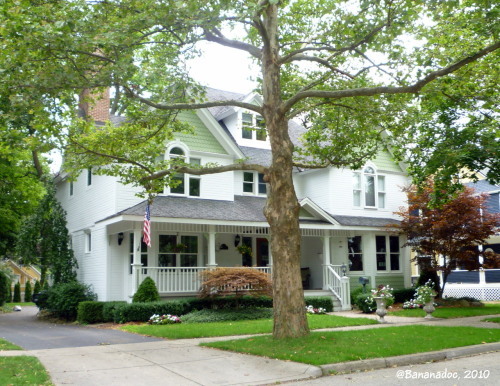 The scoop is that Dewey and Gale have now bought the house and are renovating it. It’s amazing what you learn in casual conversation at a party in the New Hollywood. 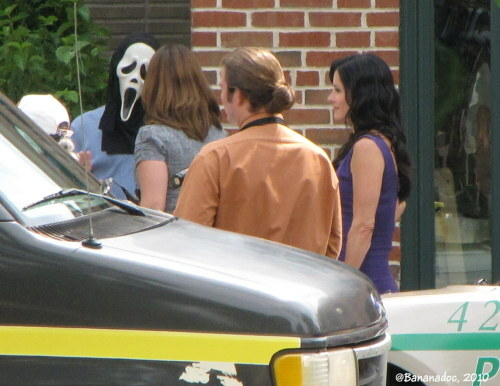 #scream4 One of my favorite shots of Courteney Cox taken on the Scream 4 set in Plymouth back in July. Wow, has it been that long? #scream4 Because everyone loves Mary McDonnell. I miss those sweaty, buggy evenings hanging out on the set of Scream 4 in Ann Arbor! #scream4 Rumors. It’s all about rumors now with the set pretty much closed down, and there are a few flying around. Remarkably the production team do seem to give the local homeowners quite a lot of information about what is being filmed. First there’s the rumored return of Courteney Cox to Michigan this weekend. But that could be just for the Wrap Party, right? Then there is the rumor that they are filming the final sequences of the film. It’s hard to know how seriously to take that because recently we were told they were filming the opening sequence, and we even thought we knew who was in it, and then there was an influx of new cast members and we were all confused again. People are constantly asking me ‘is Hayden on set?’ or ‘is Neve still there?’ and I suspect what they’re wanting to know is ‘is this character still alive at the end of the movie?’ I’m not taking anything for granted. Even Stab 3 had three separate endings so that the details weren’t published on the internet! Just because someone is scene in town or on set doesn’t mean It’s more than possible that most of the cast don’t even know who’s under the mask. 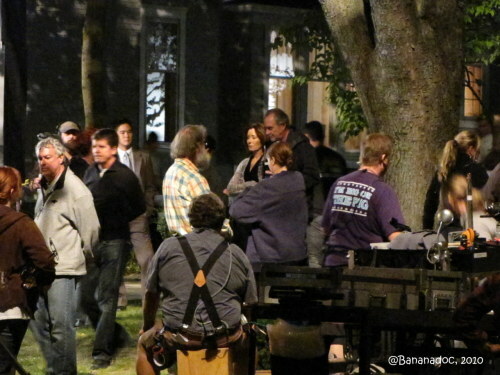 One believable rumor is that filming will continue at the current location until next Wednesday. Filming right now seems to have shifted back to the green house, inside and outside. It’s also said that based on recent days, Ghostface must have a pretty good head for heights. Google maps reveals some pretty nasty swampy land behind the house that would be perfect for a chase and a muddy death? One thing’s for sure. The guy who drives this car has been pretty busy the last few weeks. #scream4 Hmm. Well there’s someone we haven’t seen in a while. #scream4 The view north on Clement Road. 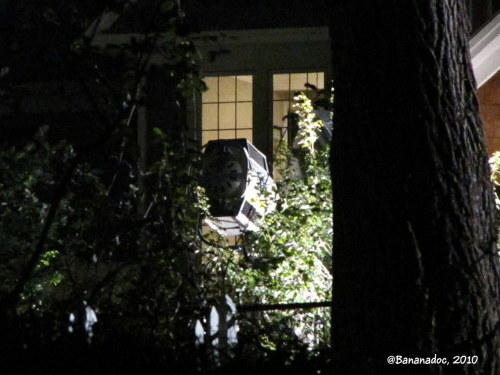 It’s sad to think this may be the last time until April 15, 2011 that we’ll see Dewey’s vehicle on the set. I’m getting a little twitchy to think that this will all be over soon, but I refuse to agree with some of the articles written about me. Obsessed? Never! Life will go on after the movie wraps. Really it will. I’m not sure the same can be said for the associates who’ve helped me out over the last few days! They’ve done a great job when I’ve not been able to be at the set, and I suspect they may have developed a love of movie stalking worse than my own. Well, Michigan seems to be a great place to have such a hobby right now, and we all hope that will continue. We have many images that we won’t be publishing at least until the movie is out to preserve as much of the story as possible. None of us want to ruin the fun of this movie in any way, and although I started out on this very naively, I’ve come to understand a lot more of the movie making process and have gained a great deal of respect for the process and the people who pull all this together. This sounds like I’m signing off, but there’s still a few more days and a wrap party to go! After that I’ll be organizing all of my photographs, combing through them for fun details I’ve missed so far, and making them accessible for Scream fans everywhere. Tumblr isn’t the best way to do that and if anyone has any suggestions, send them my way. I wonder how you go about scoring an invite to the wrap party? #scream4 Someone tell whoever is in the house NOT to go into this room tonight. I suspect it will end badly. 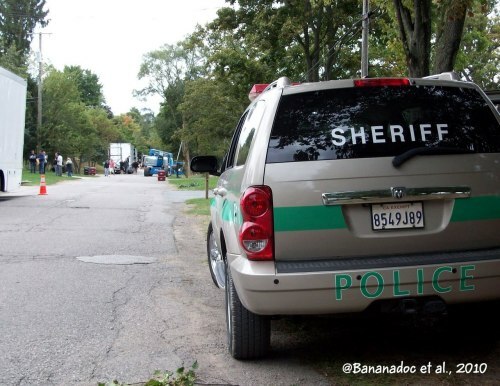 There were some day shoots today on the Scream 4 set still on Clement Road in Northville. 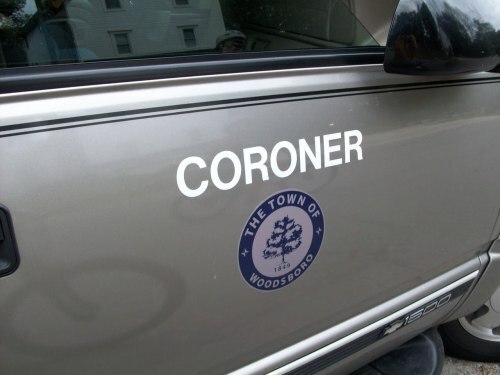 Sources say there was a lot of movement of vehicles, police cars and news trucks, but none of the reporters seen fit the description of a certain Sheriff’s wife. 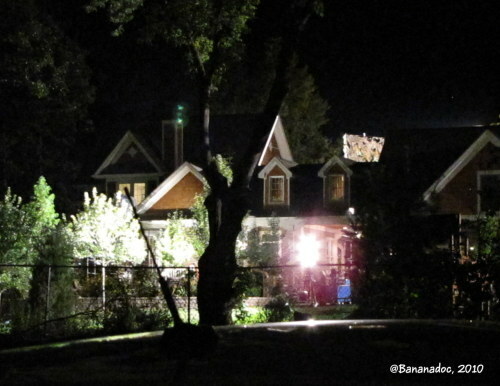 Looks like the night shoots were based at the brown house. I haven’t seen them use the hugest lighting rig yet, so I’m guessing there are some important outdoor night shoots still to come.